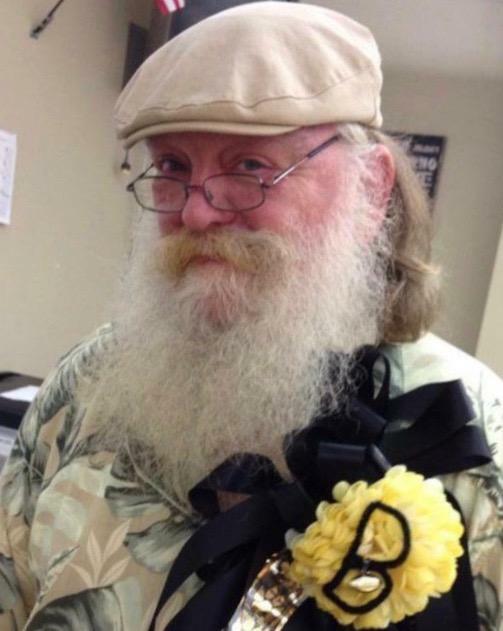 Ricky Lee Burnett Sr., of Bentonville, AR was called home on Wednesday, March 21, 2018, surrounded by family at Circle of Life Hospice. He was born April 20, 1955 in Rogers, AR to Burt Burnett and Mabel Whorton. Rick had a 40-year career with WestRock in Rogers, AR. He was a proud graduate of Bentonville High School and served several years on the board of the Alumni Association. Rick had an expansive social circle, consisting of friends in his Bull Shoals fishing and golfing group, Northwest Arkansas NASCAR Wildbunch, friends made at the Music Room, numerous childhood friends and classmates, many of whom were members of the Fred and Harry Breakfast Club that he co-founded and so looked forward to each month. Donning his Santa suit each year, was a highlight for Rick, his friends, the community and most of all, his grandchildren. His grand and great-grandchildren meant the world to him, bringing him much joy and happiness. He was especially comforted by their presence during his last days. Ricky was preceded in death by his parents and brothers, Tipton and Steven Burnett. Ricky is survived by his daughter, Althea Saxon and husband, Frank of Bella Vista; three sons, Ricky Jr. and wife, Rebekkah of Bella Vista, Dustin and wife, Audrey of Bella Vista, and Michael and wife, Jona of Bentonville; their mother, Karen Burnett of Bella Vista; three sisters, Sharon Al-Madhoun and husband, Shawki of Bella Vista; Brenda Branstetter and husband, Jim of Bella Vista; Paula Fricke and husband, Todd of Rogers; stepdad, Toby Whorton of Bentonville; grandchildren, Mason, Isaiah, Callie, Ricky III, Rachel, Rylie, Elijah, Reagan, and Abigail; great-grandtwins, Jaxon and Juliet; and several nieces and nephews. Visitation will be held from 5:00-7:00pm, Saturday, March 24, 2018 at Stockdale-Moody Funeral Chapel. Funeral services will be held at 2:00pm, Sunday, March 25, 2018 at Bella Vista Church of Christ, 989 NW McNelly Rd., Bentonville, AR 72712, with Pastor Randall Caselman officiating. Burial will follow at Ruddick Cemetery in Garfield, Arkansas. In Lieu of flowers, memorials may be made to the Bentonville Alumni Association for scholarships in Ricky’s honor, 500 Tiger Blvd. Bentonville, AR 72712 or http://www.alumnibentonville.org .